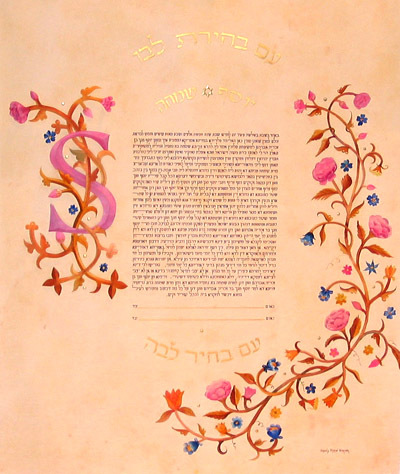 Created on the "parchment" paper, the long stem on the right with wild roses and some blue flowers for the accent, is painted with soft pinks and brown colours while the letter S and the vines around it are in the Paper-Sculpture technique. The Conservative text is written with complimentary brown. "עם בחירת לבו * עם בחיר לבה"